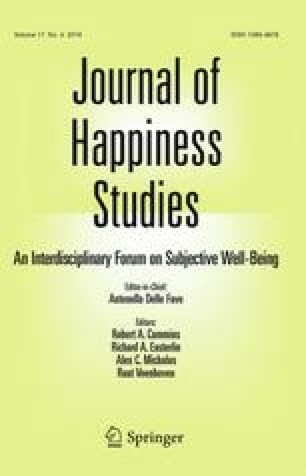 Several studies demonstrated that subjective well-being is associated with goal value and perceived progress but their validity is affected by methodological biases. Moreover, a few have analysed the influence of short-term goals. We aimed to analyse how the levels of and changes in short-term goals progress and value influence subsequent levels of and changes in subjective well-being. This study adopted a three-wave longitudinal design with one-month intervals. Four hundred nine participants (186 males; age 19–71) reported their subjective well-being and their two most important goals and rated each over time in terms of value and progress. A latent difference score model revealed that levels and increases in goal progress positively influenced subsequent levels of subjective well-being. Goal value increases led to decreases in negative affect. These findings provide insights on the promotion of subjective well-being. Given the importance of goal progress in promoting subjective well-being, we propose the implementation of goal-setting programmes that are aimed at fostering successful goal pursuit. Monzani, D., Steca, P., Greco, A., D'Addario, M., Pancani, L., & Cappelletti, E. (2015a). Effective pursuit of personal goals: The fostering effect of dispositional optimism on goal commitment and goal progress. Personality and Individual Differences, 82, 203–214. doi: 10.1016/j.paid.2015.03.019. Monzani, D., Steca, P., Greco, A., D'Addario, M., Cappelletti, E., & Pancani, L. (2015b). The situational version of the brief cope: Dimensionality and relationships with goal-related variables. Europe’s Journal of Psychology, 11(2), 295–310. doi: 10.5964/ejop.v11i2.935. Soper, D. S. (2014). A priori sample size calculator for structural equation models [software]. http://www.danielsoper.com/statcalc.